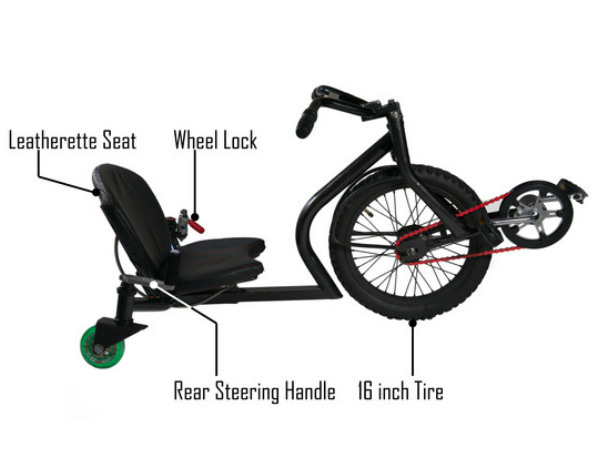 Onda is a unique and different trike designed for those who would like to change the way of traditional bike riding in to a fun sport activity. This project was submitted to kickstarter for the second time by Tyler Hadzicki and Joe Hadzicki. 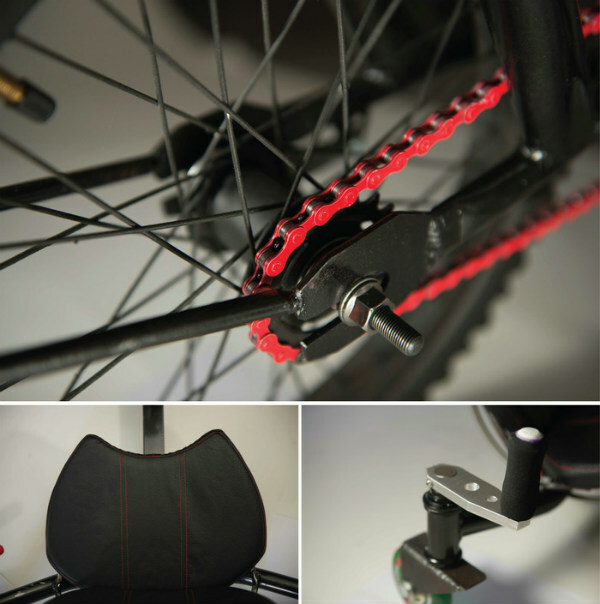 The front wheel can be steered like a regular bike. The rear handle controls the back swivel wheels, allowing for precise steering, spins, and drifting. There is also a wheel lock feature which allows you to lock the rear wheels in a forward facing position so you don't have to worry about spinning out at high speeds. 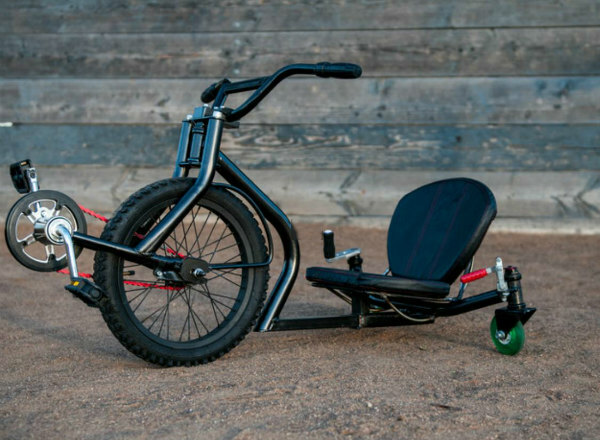 It can carry a person with maximum of 200 pounds and reach a top speed of 21 mph.